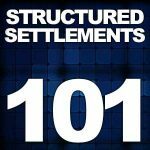 Currently viewing the tag: "Tax-Free Structures"
Here are the basics of a structured settlement. 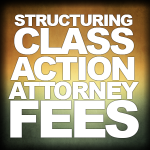 Please don’t hesitate to call me with any questions. 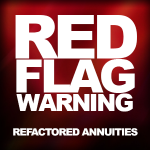 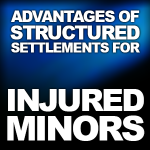 Tax benefits: For injured parties, structured settlements provide a tax-free income stream, possibly for life, without fear of money mismanagement, market fluctuations or unscrupulous con artists waiting to milk them out of their money. 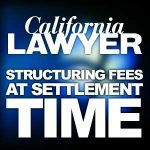 Structured settlements have helped injured individuals and their families obtain financial security even in the face of lifelong medical challenges. 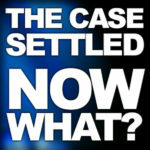 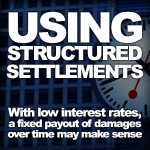 According to the National Structured Settlement Association, more than 25,000 such arrangements are drawn up every year. 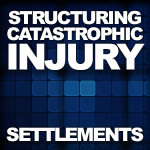 Using structured settlements in personal injury cases is common. 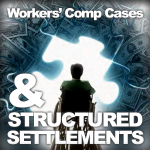 Use a resolve in workers’ comp claims where an employee is permanently disabled- less so.